Zebras & Birds | Petite Plus, Meow! I threw this look together today – keeping things simple for lunching with a gf + her baby, followed by lindy hop lessons in the evening (minus the sandals for that). 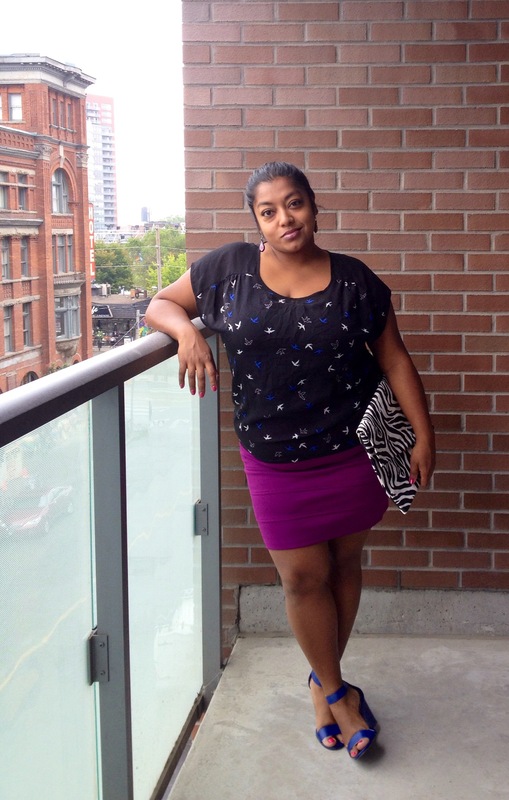 I picked up this sheer bird top during the Spring from Reitmans, from their regular section (it’s an XXL). The berry bandage skirt is from Forever21+ and was cheap-cheap-cheap ($6). The blue sandals were picked up earlier this year on a cross boarder shopping extravaganza. 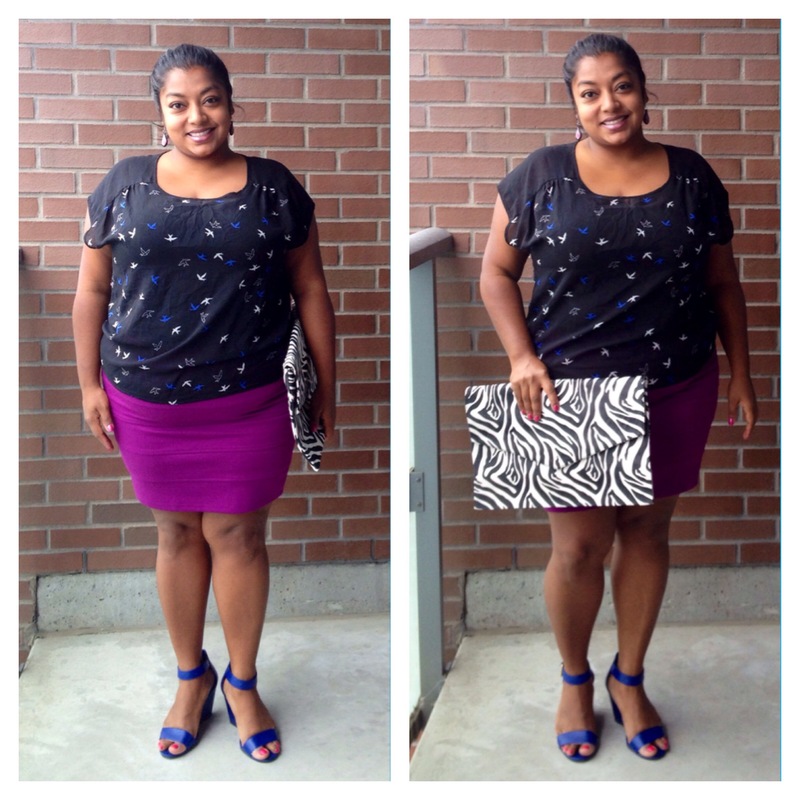 Sheer bird top and black tank from Reitmans; Berry skirt from Forever21+; Blue sandals from Payless; Zebra clutch from AlterEgo Clothing; Drop earrings, handmade and gifted.